Is Casey Anthony Hiding in Palm City, Fla.? Last year’s most notorious defendant has all but vanished since her acquittal—but sources pointed Diane Dimond to a church on Florida’s Treasure Coast where she may have been given sanctuary. Now a local news crew has snapped an image that bears a strong resemblance to Anthony—is it her or the pastor’s wife? 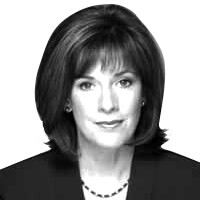 Diane Dimond investigates. PALM CITY, Florida—Where is 25-year-old Casey Anthony? Since her notorious acquittal last July in the murder of her 2½-year-old daughter, Caylee, and her subsequent release from jail in Orlando, reporters and Internet sleuths have been on her trail in a largely fruitless search. Recently—and mysteriously—released video diaries Anthony made only ensure that the so-called Tot Mom remains in the headlines, if out of public sight. In the search for where those videos were made and where Anthony has been spending her time, several sources directed The Daily Beast to an address here in this tucked-away community along Florida’s central Treasure Coast, a two-hour drive southeast of Orlando. It’s a place touted for its good schools and low crime rate, and it’s described as peaceful community. It’s also just a few miles from Port St. Lucie, where Jerry Lyons, the defense team’s private detective, lives. The information about Anthony’s whereabouts supplied by my sources included a specific address that turned out to be the Cross Church of Palm City and indicated its pastor, Steve Camp, had not only given Casey Anthony sanctuary in this out-of-the-way location but had also been quietly acting as her spiritual adviser. Each entrance to the church complex, which is located in a middle-class residential neighborhood, was strung with chains with conspicuous “No Trespassing” signs attached. The signs were taken down for Sunday services last weekend and promptly put back afterward. During face-to-face conversations with the Camps and multiple telephone calls with the pastor, there were never any denials when asked if they had ministered to Casey Anthony. But nor did the Camps confirm the information, either. Calls to Lyons, who also attends services at Cross Church, went unanswered as well. During my Sunday visit, as I waited in the library after services to try to speak to Camp, one church member entered to tell me, “The Pastor says he’ll call you later. Goodbye.” Since Camp has recently received pointed media inquiries about Anthony—from at least two national news organizations and from Orlando TV station WESH—it’s highly likely that if she was here, those helping have now assisted her in moving on to other living arrangements. If Anthony is (or was) here, what has she been doing with her life? Now that her lead defense attorney, Jose Baez, has been unable to secure a lucrative media deal for her story, what does the former murder defendant plan for her future? Perhaps most important, has Anthony been simply counting the days until she can go back to her once hard-partying ways or has she been getting meaningful therapy and spiritual guidance to truly help her get ready for life on her own? Maybe surprisingly, the indications are it’s the latter. Another one of the criminal attorneys, Cheney Mason (who recently displaced Baez), says she has been in therapy. For now, the people of Florida continue to foot the bill for the justice system to watch over Anthony in what can only be described as a very special year-long probation program designed just for her. The court decided the multitude of death threats made against Anthony after the jury’s controversial not-guilty verdict made super-secret probation precautions necessary. Taxpayers had already paid plenty for Anthony’s criminal attorneys to wage a three-year battle on her behalf, and as tax dollars continue to go in Anthony’s direction, some residents of the Sunshine State say they believe they deserve protection, too—from Casey Anthony. By all measures, the woman who had “Bella Vita” tattooed on her shoulder shortly after her daughter’s death was living quietly until the release of two homemade videos. The first was recorded in a venue that looked like a home office with a high-backed black chair and light-colored wall paneling adorned with family portraits and children’s drawings. It was immediately evident that Anthony had cut off her long prison locks and dyed her dark hair a startling shade of blonde. A second, shorter homemade video featured Anthony in a room with a ceiling fan in the background and showing off her new nose and ear piercings. In neither video does she express a word of sorrow about her dead daughter or her estranged family. The videos immediately reignited public sentiment against Anthony. According to a portion of Anthony’s latest probation report disseminated to the public, she denied publicly releasing the videos and told her probation officer she was quite upset about her computer being “hacked” and the videos being released to the public. It is still a mystery as to how the videos, which immediately went viral, got out. Her monthly probation reports read like no other in the state of Florida. Much of the usually public information is blacked out. Her address and residing county are not revealed, nor is her occupation or any blueprint for the future. Even though Anthony is a self-admitted liar and manipulator of friends and family, and a woman who pleaded guilty to stealing money and forging checks from those closest to her, the public has been given no information about her current whereabouts. It’s a rare position for a state that takes pride in releasing all pertinent facts to the public. In one of the recently released video diaries Anthony is heard speculating that she may be granted an early end to her probation, perhaps as early as February. It’s unclear whether the state will announce the official end to Anthony’s probation or simply let her quietly assimilate back into the population. Steve Camp, the Cross Church’s 56-year-old pastor, is an interesting figure and every bit the modern-day preacher. He appears to be a learned and devout Christian scholar who attends his church services wearing a blue blazer, a crisp white open-collared shirt, and blue jeans with gray pointy-toed cowboy boots. He plays piano and sings beautifully, and he carries a handheld computer, which he frequently refers to during his two-hour-long sermons. He peppers his talk to the flock of about 100 worshipers with news from his Twitter followers and Facebook friends. Wikipedia provides a glimpse into Camp’s past. He’s described as “a prominent American Dove Award and Grammy Award–nominated contemporary Christian music artist with an adult contemporary pop sound.” He began his singing career in the late ‘70s, and at his peak is said to have sold more than 1 million albums. Today, although his professional career has waned, music still plays a big part in Camp’s life, and his second wife, Cynthia, a Julliard-trained violinist, joins in as part of the five-piece church orchestra. Together they have seven children and make their home at the spacious Palm City church compound. The pastel-colored Cross Church complex includes several buildings, a Christian Academy, and a small bridge that leads to a blue-colored ranch style house on the westernmost side of the property. My sources suspect—but I could not confirm—that this is the house in which Anthony lived while receiving guidance from the pastor. The ‘50s-style home is set far back from the road and “No Trespassing” signs made it impossible to see if ceiling fans, children’s drawings, and family portraits are part of the décor. After this report was published, local media outlets camped in front of the church property, and a WPEC-TV camera caught the image below through a window of the blue house. While not definitive, the blonde woman on the left bears a resemblance to Casey Anthony; it’s important to note that the pastor’s wife, Cindy Camp, also sports a blonde bob hairdo. Shortly after this picture was taken several cars parked near the house simultaneously and quickly left the property. In the video diaries, there are tantalizing clues about where Anthony has been. In one, she began by looking into the camera and saying, “Today is Oct. 13, 2011,” then goes on to discuss living with “a family that is as much a family as I’ve ever had, if not more so.” The name of the family has been edited out. Anthony says it has been wonderful having people to talk to and indicates she’s been in that location for about two months. She speaks about staying there through “at least February (2012) … or March, my birthday,” which would be a total of seven months in one spot. Discussions with three individual members of the Martin County Sheriff’s Department made it clear that if Florida’s most high-profile probationer—a young woman who had profound concerns about her own safety—had been in their jurisdiction, no one bothered to alert them. Everyone I spoke with expressed surprise that Anthony might be in Palm City, and they all mentioned a recent People magazine article that reported she was currently “living alone in Port St. Lucie,” derisively called “Port St. Lousy” by Palm City folks. “She belongs over there in Port St. Lucie, definitely not here,” sniffed a stunning blonde woman named Kelly who sat at the Italian restaurant’s bar. In Anthony’s darkest days, in 2008 and 2009 as she awaited her capital murder trial as an inmate at the Orlando county jail, she began to write a series of revelatory letters to another inmate named Robyn Adams. Under Florida’s liberal public-information law the letters were released. Much of the content was chit-chatty girl talk about longing for manicures, pedicures, a pair of tweezers and “underwear that fit.” There also was much back and forth from Anthony about her planned post-jail makeover. The latest—and once again, unconfirmed—Internet chatter says Anthony has, indeed, dyed her hair again going from brunette to blonde and now to red hair. Could she also be taking steps to change her name after her probation is over? To the horror of many, Anthony also wrote to inmate Adams about wanting more children either by pregnancy or adoption. And she revealed she has a desire to be an author.